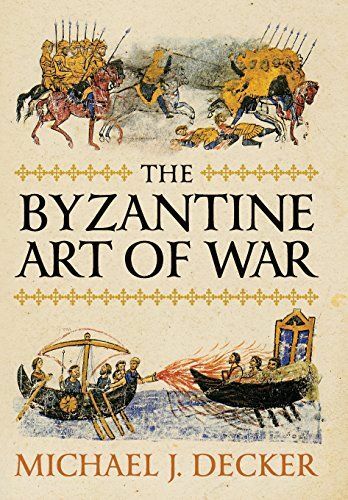 The Byzantine Art of War explores the military history of the thousand-year empire of the eastern Mediterranean, Byzantium. Throughout its history the empire faced a multitude of challenges from foreign invaders seeking to plunder its wealth and to occupy its lands, from the deadly Hunnic hordes of Attila, to the Arab armies of Islam, to the western Crusaders bent on carving out a place in the empire or its former lands. In order to survive the Byzantines relied on their army that was for centuries the only standing, professional force in Europe. Leadership provided another key to survival; Byzantine society produced a number of capable strategic thinkers and tacticians—and several brilliant ones. These officers maintained a level of professionalism and organization inherited and adapted from Roman models. The innovations of the Byzantine military reforms of the sixth century included the use of steppe nomad equipment and tactics, the most important of which was the refinement of the Roman mounted archer. Strategy and tactics evolved in the face of victory and defeat; the shock of the Arab conquests led to a sharp decline in the number and quality of imperial forces. By the eighth and ninth centuries Byzantine commanders mastered the art of the small war, waging guerrilla campaigns, raids, and flying column attacks that injured the enemy but avoided the decisive confrontation the empire was no longer capable of winning. A century later they began the most sustained, glorious military expansion of their history. This work further sketches the key campaigns, battles, and sieges that illustrate Byzantine military doctrine, vital changes from one era to another, the composition of forces and the major victories and defeats that defined the territory and material well-being of its citizens. Through a summary of their strategies, tactics, and innovations in the tools of war, the book closes with an analysis of the contributions of this remarkable empire to world military history.